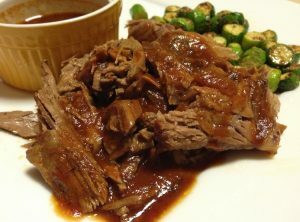 For our first week in this series on cooking we are going to talk about braising. This cooking method is my favorite by far. This is a transformation technique that often involves tougher cuts of meat. This means cheaper cuts of meat. If you can learn to manipulate cheap/unwanted cuts of meat you are doing something great. 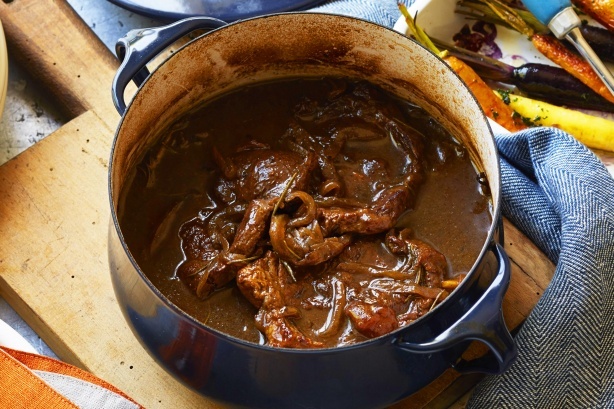 Braising is often times associated with cold weather but it can also be used in the spring. 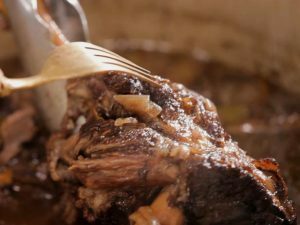 One of my favorite things to braise is the lamb shank. 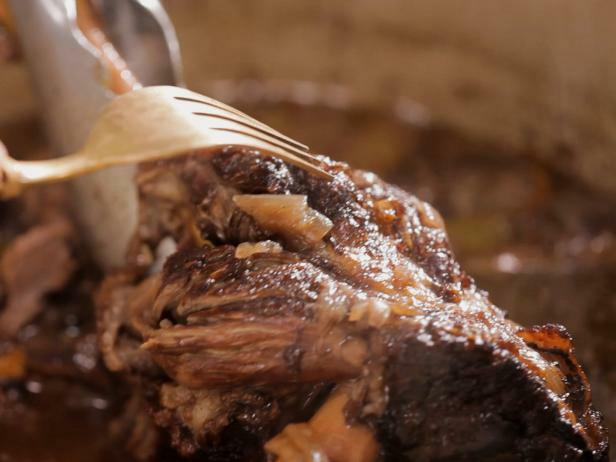 Nothing says spring like a delicious piece of lamb. Aside from lamb though there is a plethora of other things that can be braised and I want you folks to get used to and accustomed to adding this cooking method into your arsenal. This 8 week series will be geared towards how and when to utilize each cooking method. It will arm you with a new set of tools when it comes to food preparation. The ability to transform raw ingredients from your pantry or the wild into food is an indispensable survival skill. The most important thing to understand is that you can become an expert at all of these cooking methods. I hope you look at food through a different lense following this series of shows. So tell your friends and family the crazy host of I AM Liberty is going off the deep end on cooking and you won’t want to miss it. Listen to this broadcast or download “Braising, inexpensive meats made great” in player below! Previous: Previous post: Galt Strike & Owner Tom Martin of A.P.N. Next: Next post: Paranoia in prepping good or bad?